2011/5/9 : KidsMouse Version 3.2 that added new game "Feed" was released. Education software for infant who can learn while playing only by intuitive mouse operation. KidsMouse can learn alphabet, numbers, and shape and color, etc. in a happy game and the puzzle. The player can play only by an easy mouse operation. The reasons why the operation of KidsMouse can be easily acquired are the united interface designs. KidsMouse has a lovely illustration and a happy sound effect. Because the operation of KidsMouse is easy, even only the little child can operate it. Please praise the child when answering correctly. It is the most preferable to play together in the family. It is a game that gives food to ten horses. Please click from one sequentially. 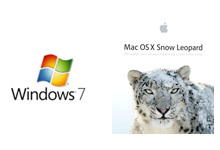 It corresponds to Snow Leopard and Windows7 of latest OS to say nothing of Mac OS 10.5 Leopard and Windows Vista. It became a universal binary because it had become the application of Flash Player 10. Therefore, it is possible to use it without trouble even since Mac OS10.5. Moreover, Windows Vista that had not corresponded up to now and latest Windows7 became available in the Windows version. The screen size was changed from 4:3 to 16:10(Correspond to 16:9). Therefore, the screen came to be displayed on the display of all Mac full at full-screen. Moreover, graphic of the background etc. changed completely, it became an arrangement of color suitable for new OS, and the main menu was changed to the full-screen display. Even a small child came to be able to play at ease. Copyright(C) 2003-2009 WhiteRoom-Web. All Rights Reserved.